Photos from the 2018 Exhibition. The 2019 Exhibition will be held at Rosehill Gardens on the 8th, 9th 10th June 2019. The Exhibition will open at 9.00 am each day and close at 5.00 pm on Saturday and Sunday and 4.00 pm on Monday. The Epping Model Railway Exhibition is held at Rosehill Gardens Grand Pavilion. This premium venue has ample free parking in the grounds of Rosehill Racecourse. There is a Café and lounge for snacks and meals during the exhibition. The exhibition is all on one level with disabled access from the main carpark. Rosehill Gardens is readily accessible via car, train or bus. Travel from James Ruse Drive, thence Grand Ave to car park. Train to Rosehill station and follow the signs to Rosehill Gardens and the Grand Pavilion. Bus via M90 bus service from Parramatta station and get off at James Ruse Drive. The Exhibition has the best Model Railway Second Hand Stall in Australia. The system is computerised and all items are bar coded. If you wish to be a vendor of items, the details and instructions will be available here in February 2019. You must request your labels by the 22 May and submit all lists by the 3 June. Note: Tickets are purchased at entry to the event. A Child is a person attending school. A family is 2 adults and up to 8 children older than 5 and at school. Children under five years old are admitted for FREE. Note: Prepaid exhibition admission tickets are now available from Trybooking. Get your Tickets Here! As shown, there is a 30-cent online booking fee. 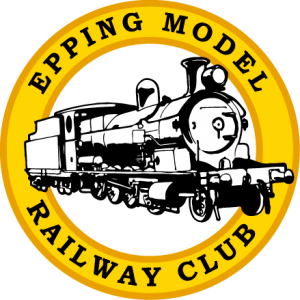 Epping Model Railway Club covers the other online transaction fees. Tickets are for one entry only on one day. Tickets will be scanned on entry. 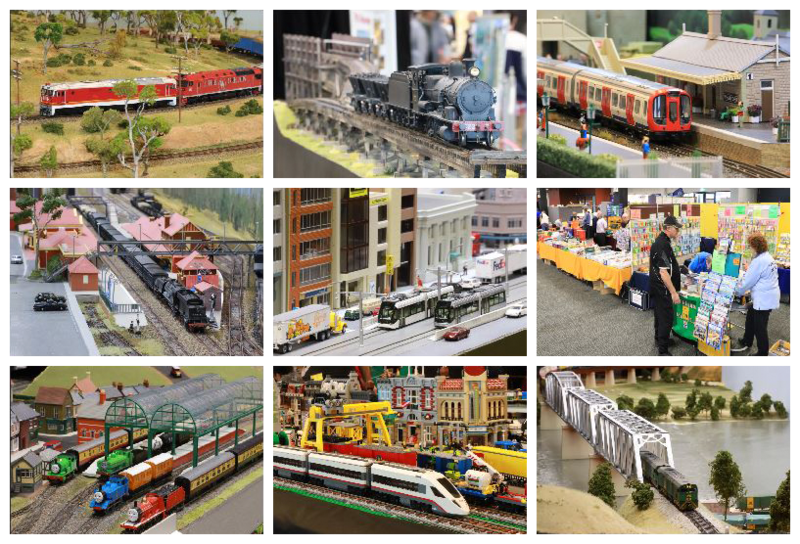 The 2018 Exhibition at Rosehill Gardens was a huge success and the premier model railway event in Sydney in 2018. Below are details of the 2018 Exhibition. Layouts on Display at the 2018 exhibition. The following layouts were displayed at the 2018 exhibition. The following trade stands and model suppliers were displayed at the 2018 exhibition. Where a suburb is shown, the trader has a retail shop.